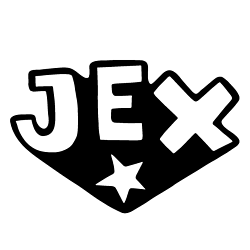 At Jex, we believe the imagination of children is amazing and something that should always be encouraged. Kids are so creative and should be allowed to express their ideas at every opportunity; they’re only kids once! That’s why Jex was started – born out of a light-bulb moment in Spring 2017. 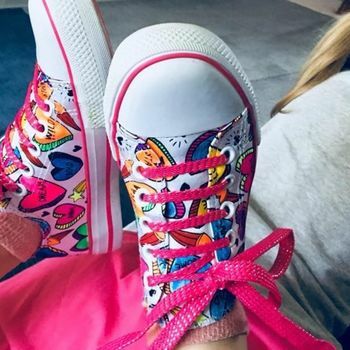 Fed up with the limited choice of shoes for children that allowed them to express their individuality, Emily, founder of Jex, decided it was high time that somebody did something about it! So, she set about putting together a great team of designers and experienced shoe makers to make her dream of Jex a reality. 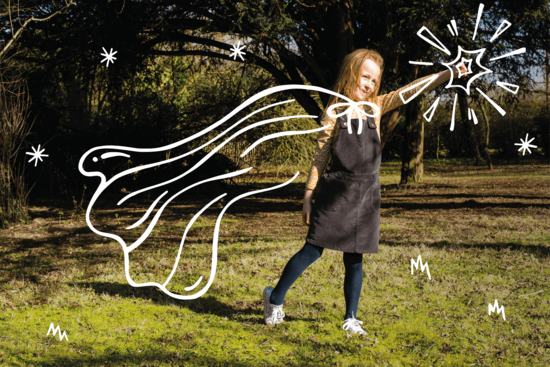 We believe that kids’ creativity should be given every opportunity to shine. 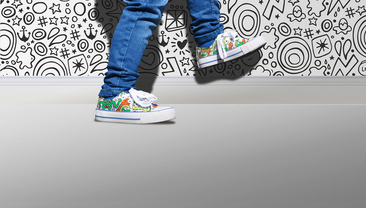 That’s why we offer a unique range of colour-in trainers for children. 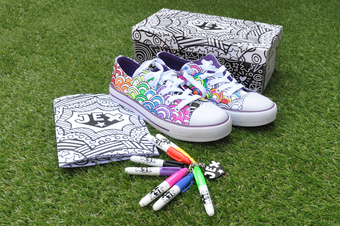 With exclusive eye-catching designs, every boy and girl can have the chance to personalise their footwear and stand out with Jex. There are an estimated 300 million children in the world for whom walking with shoes is a rarity and without shoes, many children are not permitted to attend school. Sal’s Shoes deliver new, used, loved (and barely worn) shoes direct to the children who desperately need them around the world. 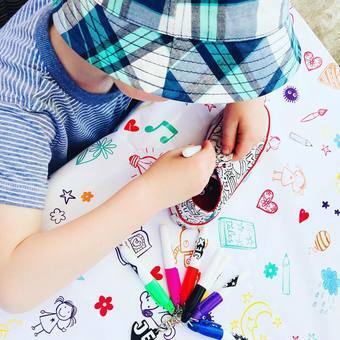 We’re passionate about supporting the fantastic work that this charity does and have pledged to show our support by donating 50p to Sal’s Shoes for every pair of Jex shoes purchased. 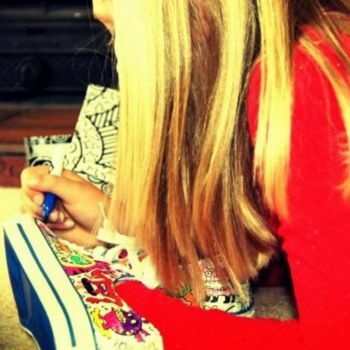 "Brilliant shoes, such a good idea, and they arrived so quickly. Very pleased indeed." "Fab product! Good quality and packaged lovely!" "Very good quality trainer. Colouring pens on a little key ring away a nice touch and boxed beautifully." Temporary delay to deliveries - Please note that orders placed after 21st December 2018 will not be dispatched until 7th January 2019. Standard delivery will take place 3-4 working days after this.